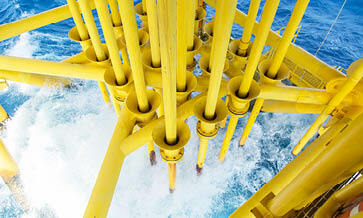 2019 will see just under 70kbblpd of oil capacity and 16Mcmpd of natural gas capacity close, with a particularly high concentration of end-of-life fields and capacity in the United States and United Kingdom. While closing capacity is fairly evenly spread across sites and largely due to the depletion of reserves, there are some outliers worth considering. There is a significant risk that Canadian-based Pengrowth Energy could close in a downside scenario. The oil and gas producer has already reduced production at its Lindbergh heavy oil project under Albertan curtailments and is aiming to continue production of around 18kbblpd—down from the company’s 2018 average of 22kbblpd, which was already below the company’s max guidance of 23.5kbblpd. Despite best intentions, dropping prices and rising debt are making shareholders uncomfortable, with the company recording a 35% drop in heavy oil revenue per barrel and a 54% increase in the cost of diluting condensate during Q4 2018. The company has considered a refinancing or sale, but neither option appears to be viable. Venezuela’s PDVSA has been a highlight in recent months, being struck by sanctions and the resultant supply and demand issues—and also by increasing mechanical failures. It is less ‘downside’ and more ‘certainty’ that PDVSA will continue to reduce its production and exports. Recent developments have seen the company lose a crucial source of diluents from India due to sanctions, the intermittent loss of power at its key oil export terminal, and a diluent tank explosion at the Petro San Felix project. At a conservative estimate, Venezuela’s oil output will continue to fall at a rate comparable to February’s drop of some 300kbblpd—also due to diluent sourcing restrictions. With the US aiming to push Iran’s total crude oil exports below one million barrels per day, a significant casualty of cuts has been Iran’s shipping tanker fleet. While previously in talks for up to ten additional supertankers, negotiations for procurement have stalled and Iran has seen more than 20 of its existing tankers removed from Panama registries. While cut vessels can be instead registered under Tehran’s own flag, the effects of deregistering and sanctions are wide. Insurers are increasingly steering clear of Iranian vessels and suppliers are very wary of doing business with the country—particularly as a previous round of sanctions saw a Greek network blacklisted for doing tanker business with Iran. While the OPEC nation has made comparatively few headlines, domestic instability in the country is rising. Widespread demonstrations have taken place in towns and oil-exporting ports, raising fears of impacted crude and condensate exports. While the oil-producing fields themselves are located inland away from major population centres, the country has a relatively small amount of storage capacity, meaning that sustained export disruption could halt production in future.